The the old Microsoft Powertoy called "DOSHERE" does not work on Windows 7... It looks like it is part of windows 7. 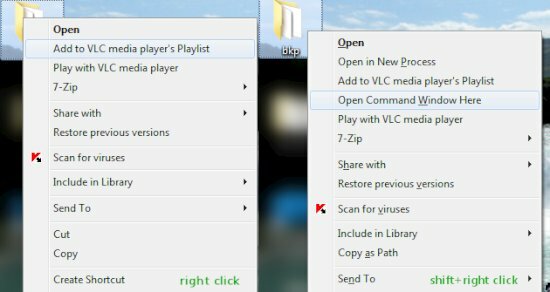 "By holding shift and right-clicking a folder, you'll see additional commands not listed on the standard menu, such as open command window here." Check out the following blog about it.